Long Beach, Calif. (January 26, 2014)—The inaugural NASA National Rally Championship successfully ended its season, determining its six national champion teams at the Prescott Rally in early October. The top three teams in both the All-Wheel-Drive and Two-Wheel-Drive categories received their formal accolades yesterday at the California Rally Series’ awards banquet. Tingwu Song, of Denver, Colo., and his co-driver, Martin Brady, of Galway, Ireland, took their Mitsubishi Evo 8 to win the gold in the AWD category. "To win a national accolade is a special point in anyone's career and to do it as such a diverse pairing of Chinese and Irish cultures and skills made it even more significant and special," Brady said. "I was very proud to collect the awards last night, for me the season was full of good times and I don't mean times on a stopwatch." In the 2WD category, the National Championship went to the husband-and-wife team of Kristopher and Christine Marciniak, from Long Beach, Calif. The couple compete in a Dodge Neon. 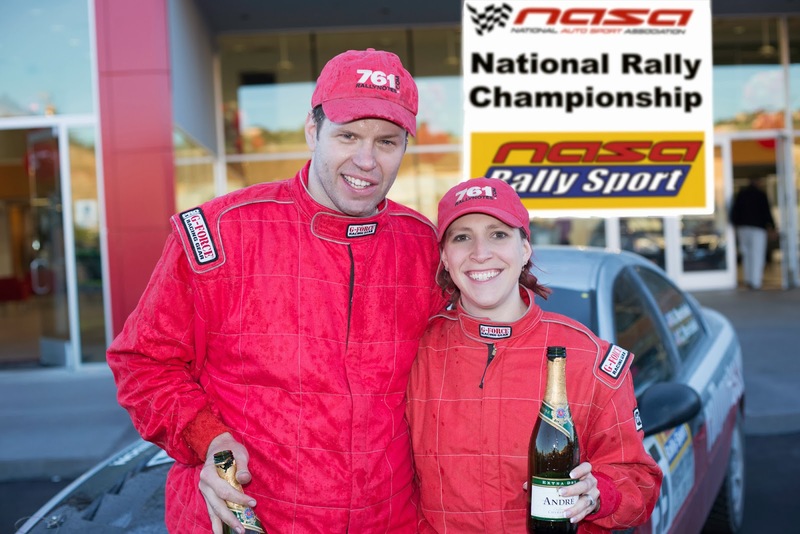 "We're very excited about NASA Rally Sport having a new national championship. We're looking forward to seeing this championship grow and continue for many years to come," Kris Marciniak said. "Thank you to all the competitors, volunteers, and organizers." The 2013 NASA National Rally Championship was comprised of 10 events, split between the East and West Coast equally and dubbed the Atlantic Cup and Pacific Cup, respectfully. The Championship was determined solely by the performance of the rally racers at the Championship’s finale in Prescott, Ariz. Competitors had four different qualifying paths to the Championship. To determine eligibility in both AWD and 2WD, teams could rank in the top ten of either coast’s championship, finish in the top three at a two-day event, winning the final stage (or “Power Stage” as dubbed by the specific event’s organizers), or through nomination by one of the NASA Rally Sport directors prior to the finale at the Prescott Rally. For the purposes of the Pacific Cup leaders, NRS West used the California Rally Series Championship points scale to calculate the standings for the top-10 AWD and 2WD qualifiers. Those standings were based on finish positions from the High Desert Trails Rally, Idaho Rally International, Nameless Rally, and the Gorman Ridge Rally. 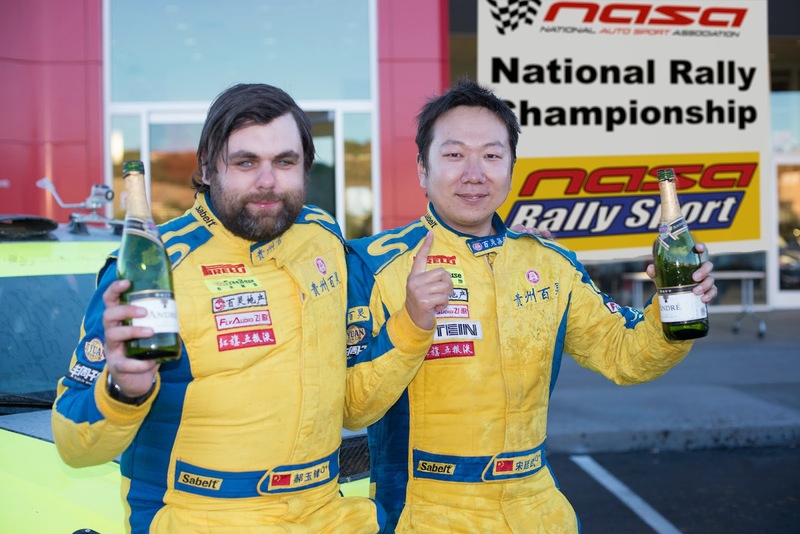 After a DNF at the Nameless Rally, Song and Brady came back and took the overall win at both the Gorman Ridge and Prescott Rally events. The camaraderie and friendships of our competitors really framed the season," Brady added. "We fought hard on the stages but always had an enjoyable experience outside the car with all the crews and organizers and workers. We look forward to going back to some of the rallies again." The Marciniaks, organizers of High Desert Trails, finished fourth in class at Idaho and a fourth overall and second in 2WD at Prescott after an invigorating battle with the class winners’ Datsun 240Z, piloted by the team of Brian Scott and Michel Hoche-Mong. Both Kris and Christine Marciniak thanked their service crew, attributing the Rallynotes.com Team for having an integral role in the team’s success. In the AWD class, Chris and Lori O’Driscoll, of Leadville, Colo., took second place in their Subaru WRX and in his rookie season, James Riley, of Flagstaff, Ariz., took third. O’Driscolls finished second overall and first in AWD and also scored the best time at the Power Stage at the Idaho Rally, finished on the podium at the Nameless Rally, and second overall/AWD at the finale. Riley’s third-place overall and class win at Gorman Ridge earned him a podium finish, only his third time driving in a performance rally. He and co-driver Brock Palmer finished fourth in class at Prescott, which earned Riley a third-place finish in the Pacific Cup; O’Driscoll was right behind in fourth. The Marciniaks are winners whether as competitors or organizers. They took the top spot in the 2WD Pacific Cup and finished fourth overall and second in class at the Prescott Rally finale. With his signature Mohawk haircut and pink plastic sunglasses, Jason Lightner, of San Marcos, Calif., drove his Porsche 911 hard in 2013. At the Gorman Ridge Rally, he finished fifth overall and first in class, earning him a spot on the podium and he took fourth in class at Prescott. Rounding out the 2WD champions is long-time rally competitor Doug Robinson, of Ramona, Calif., who co-drove with his son Ryan in 2013, in a VW GTI. The Robinsons took third in class at Gorman Ridge and fifth at Prescott. The second season of the NASA National Rally Championship kicks off at the High Desert Trails Rally in Ridgecrest, Calif., on May 3, 2014. 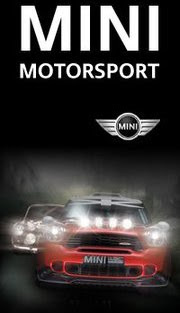 For the full schedule, visit www.nasarallysport.com.